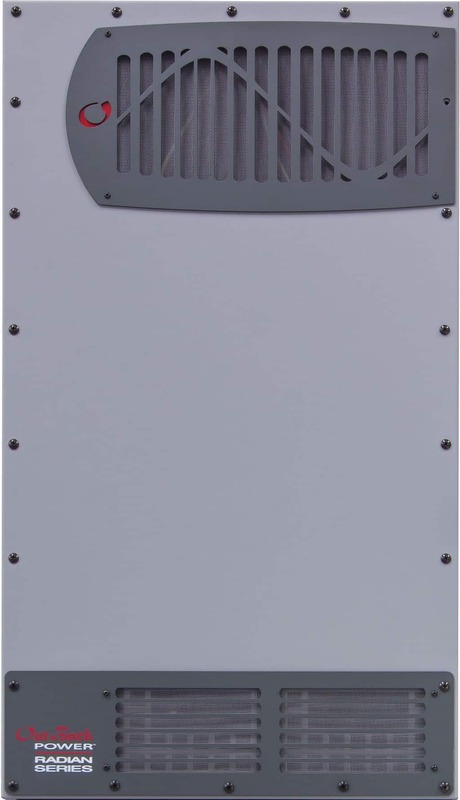 This pre-wired and tested Radian Inverter System is unique to the renewable energy market because it combines both off-grid and grid-tie capabilities into one piece of equipment. As with any grid-tied system, it will allow you to sell excess power that your solar panels generate back to the utility company, but you’ll also have the added security of a back up system. Protect you from utility power outages. Give you a return on your investment with its grid-tied net-metering capabilities (in areas where grid-tied power and net metering programs are available). Be expandable. 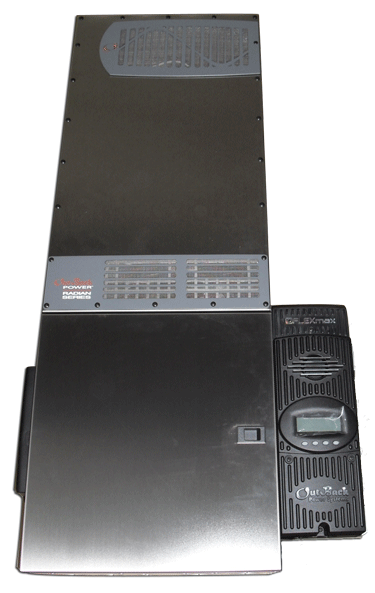 Up to 10 Radian Inverters can be connected in parallel for up to 80,000 watts of power. Give you the choice of starting out with an “off-grid” system and expand it to use its grid-tied capabilities, if a utility company is accessible, or vice versa. Be simple, easy and safe to install.